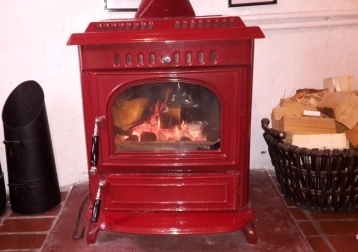 Holiday Cottage in Staithes, near Whitby on the North Yorkshire Coast. 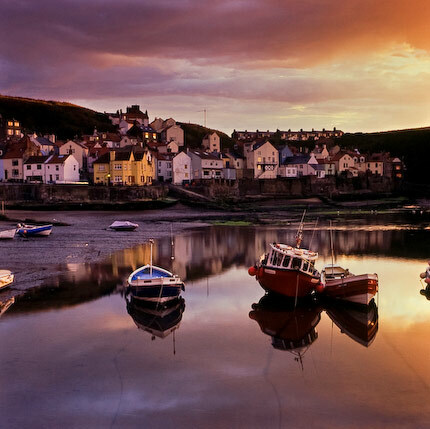 Last minute budget Staithes Cottage breaks available. Late deals. Self-catering. in this ancient fishing village, offering real traditional character and all modern comforts, at a good value price. Sleeps 2 to 6 (plus cot) in quality self catering accommodation . Weekly holiday lets and short breaks (start any day) are available. 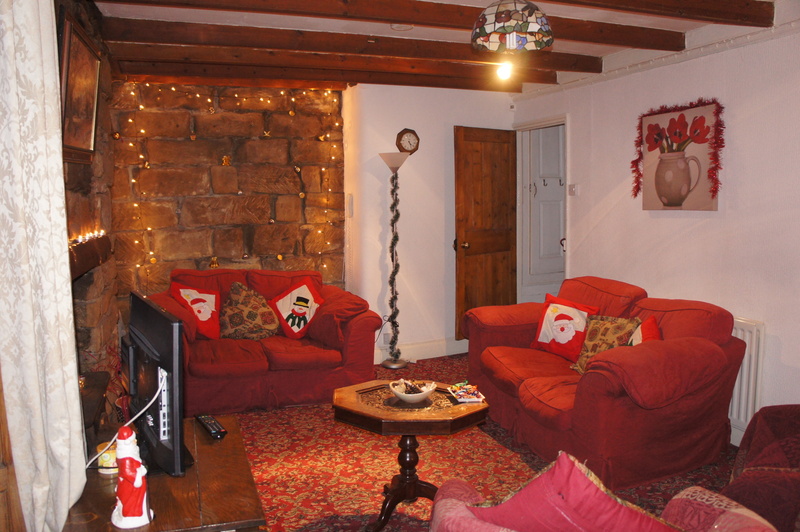 Contact us for budget deals and cheap offers on last minute availability for this cottage in Staithes, or click on our Staithes cottage Deals page. 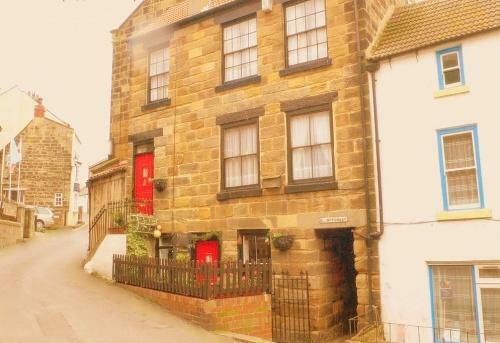 This Grade II listed cottage in Staithes. with magnificent exposed oak beams and period features, is a great holiday home from home (passion flowers round the entrance), whether you are looking for a family seaside holiday, a get-away-from-it-all cottage break with friends, a base for walkers on the Cleveland Way, or a couple’s memorable and romantic stay in an intimate and magical location. All bedlinen, towels, logs, fuel and utilities are included in the price. Good value rates. Late availability deals. Last minute breaks. Inclusive prices: no extras and no agency fees. Weekly lets or short breaks. Start any day of the week. 2 nights upwards. Weekend/mid-week. 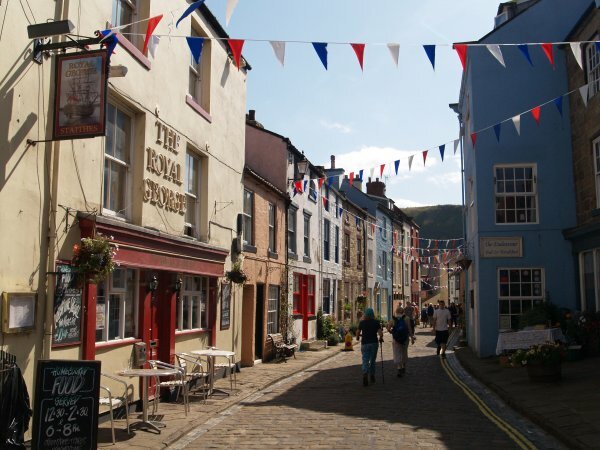 See the places shown in the children’s CBeebies TV series Old Jack’s Boat. Read our Guest Reviews to see what others say about us. Photographs: you can see more pictures on our Gallery Page . 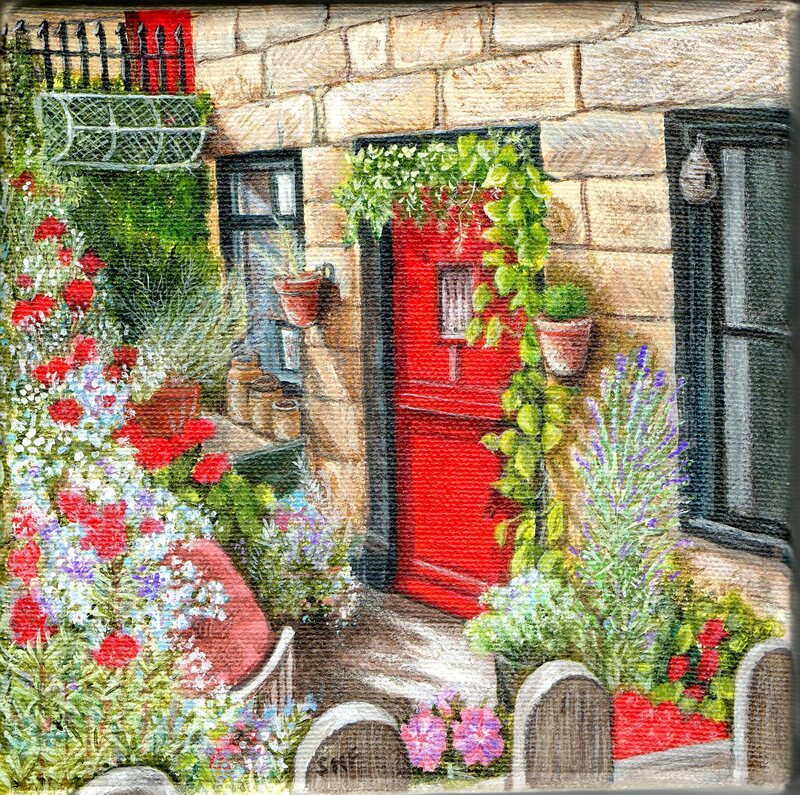 Staithes Holiday Cottage Yorkshire Coast Copyright © 2011 All Rights Reserved .